Country’s popular 2 wheeler manufacturer, Honda Motorcycle and Scooter India Limited (HMSIL) has announced that its new Honda Navi has grabbed a very good number of bookings since its first revealing at Delhi Auto Expo 2016 in February. The bookings of Honda Navi were received via a dedicated mobile application and also via dealerships. The deliveries of Honda Navi are expected to start from April 2016. The all new Honda Navi is manufactured only in India and is done keeping the Indian market in mind. Honda Navi kicks off a whole new category in two-wheeler segment and has been priced at INR 39,500 (ex-showroom Delhi), which is actually one of the lowest-priced products. 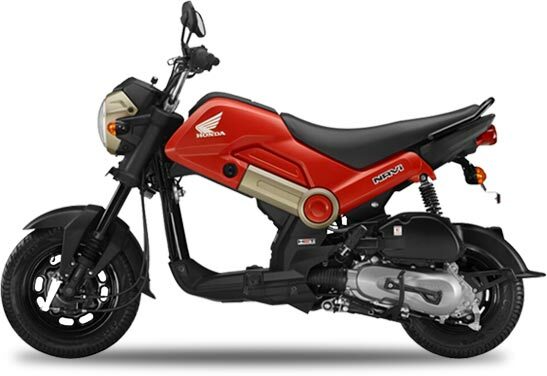 The Honda Navi has been positioned as a hybrid between scooter as well as motorcycle in order to cater to urban youth, the 2-wheeler is being produced at the two-wheeler manufacturer’s Tapukara facility in Rajasthan. 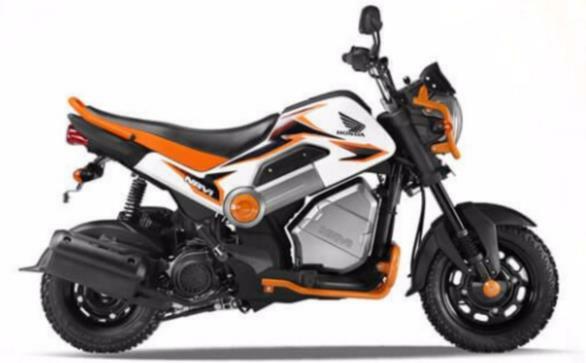 The company also has plans to manufacture the Navi in it’s new scooters-only plant at Vithalpur in Gujarat, its fourth facility in Country. Honda Navi is meant to bridge the gap in Honda’s line-up where such a low-cost, crossover product was not present. Honda Navi, the first of its kind dwarf looking bike is powered by 110cc engine. This little Honda Navi is powered by 8 Bhp of power at 7000 RPM and delivers a maximum torque of 8.69 Nm at 5500 rpm. The engine is mated to an automatic gearbox (v-matic). 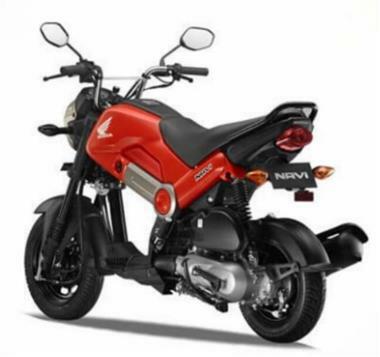 The seat height of Honda Navi is 765mm and the ground clearance of the bike being 156mm. The Kerb weight of Navi is 101 Kgs and the fuel tank capacity is 3.8 litres. The bike can attain a maximum speed of 81 Kmph and expected milage of Honda Navi is 60 Kmpl. In this years Auto Expo 2016, Honda Navi was displayed in 3 different concepts – Honda Navi Street, Navi Adventure and Navi off-roader. The 3 different variants of Honda Navi are set to roll out in phases. The all new Navi bike from Honda is provided with a bunch of accessories with the customer given the leeway to pick and choose and customise his/her vehicle. The varied range of Navi accessories include orange-and-white side panels, even the other colors with graffite are available. The additional parts of Honda Navi will be added to the accessory list in the next quarter for which Honda is collating its consumer preferences. Honda is also said to be working on Navi II to expand its portfolio.